Who doesn’t love pizza? Although it’s always nice to grab a slice at your favorite local pizza shop, making your own at home can be better. After this, say goodbye to frozen pizzas and takeouts, because this is going to be easy and absolutely delicious! In the part two of this post, we will be focusing on the process of baking pizza in a home oven. 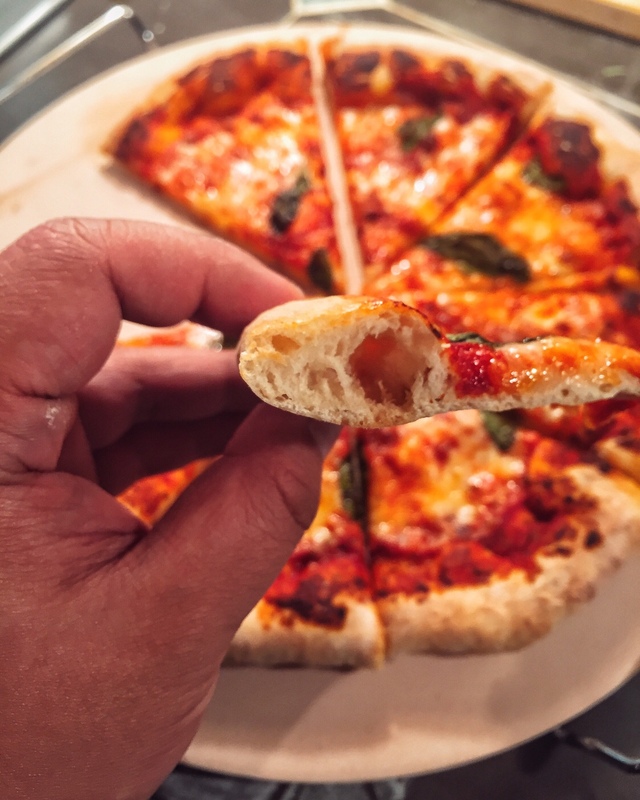 If you want to know how to make the perfect dough, you can read about it here: Make Pizza at Home (Part 1: Dough). The problem of making a great pizza and the perfect crust at home is the limitation of temperature. A home oven maxes out about 260C or 500F degrees, which is very low compare to a commercial oven or a wood fired oven which can reach about 425C or 800F. So, how to fix that? If you look around online, you can find an expensive pizza oven or a pizza stone, but to be honest, all you need is a cast iron pan. Place the cast iron pan upside down in the oven, heat up the oven at the maximum temperature, at around 260C or 500F, let the pan heat up. Then place whatever pizza you want to make on a thing pizza tray, place the pizza tray on top of the bottom of the heated cast iron pan, let it bake for 4 to 5 min, then turn on broil for 1 min. This creates a very crunchy crust because the hot cast iron pan can directly heat up the pizza from the bottom, and the thick bottom provides an even, high heat. The time can be adjusted base on the thickness of the pizza, so if you are aiming for a thin & crispy, 3 min is perfect, and if you are making an American pizza, 4.5 min will do the job.